In our quest at Toptal to build a global network of premier software engineering talent, we seek every opportunity to bring people together face-to-face, to help foster a genuine sense of community and camaraderie. We’re always amazed by the extent to which engineers are naturally enthusiastic about the opportunity to get together, share ideas, and learn from one another, while having a good time. I’ve lived my entire life in Córdoba, a city with a rich history and much beauty. It’s a city that mingles ancient colonial architecture with modern buildings, from which one can view and enjoy the many scenic hills that adorn its lush surroundings. But beyond its beauty, in recent years Córdoba has been enjoying a rapidly growing reputation as a technology center, one that may soon rival Buenos Aires as Argentina’s main technology hub. The software and electronics industries in particular are expanding substantially in Córdoba, with leading technology employers here including Motorola, Intel, Electronic Data Systems, Vates, and Santex, to name but a few. In recent years Córdoba has been enjoying a rapidly growing reputation as a technology center, one that may soon rival Buenos Aires as Argentina’s main technology hub. Having worked as a software engineer in Córdoba for the past eight years, I’ve been well aware of this phenomenon and have been increasingly excited to be a part of it. But especially because of this expansion, I’ve periodically found myself wondering in recent years if it might be possible to build a network with other talented developers here, in order to share our knowledge and collaborate. But these thoughts would inevitably end with a sobering reality check. After all, it would take way too much effort to put something like this together. And besides, where would I start? As anyone in the software industry can tell you, although software engineers are practically everywhere (or at least it sometimes feels like they are! ), real top-notch engineers are “few and far between” and can be incredibly hard to find. And even if I could find them, who’s to say that they’d even be interested in some software engineer networking? OK, forget about the network. Not realistic. Back to work. I’ve known Alejandro since I started working with him about 3 years ago for a project based in London. For part of our time on that project, we were also roommates, so we got to know each other well and became good friends. It didn’t take long for me to be convinced that I wanted to be part of this network. I really respect Alejandro, both personally and professionally, so he immediately got my attention when he called and starting raving about the company he’d begun working for, Toptal. “Great company,” he told me. “And really top-notch technical folks. 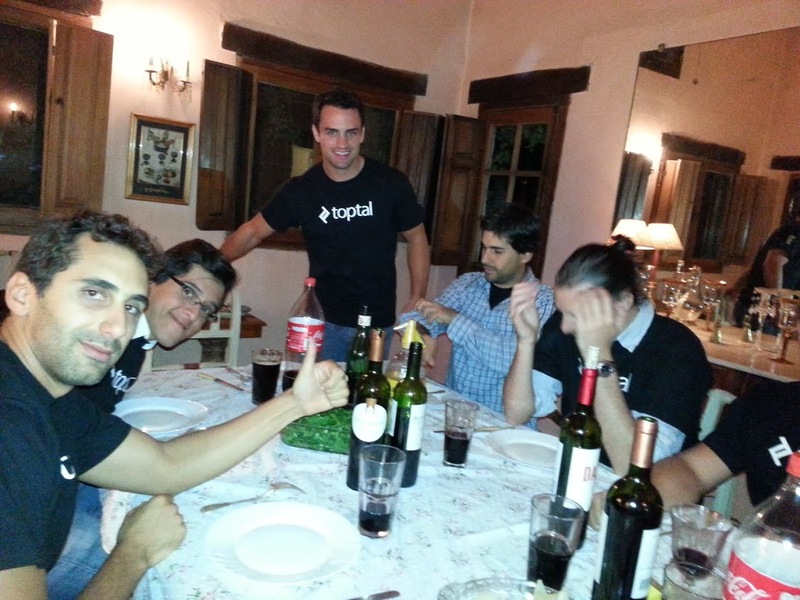 You should check it out.” But what piqued my interest even more was when Alejandro began describing the network Toptal was building internationally, an increasing portion of which was right here in Córdoba. Wow. It didn’t take long for me to be convinced that I wanted to be part of the Toptal network of software developers. I quickly applied and made it through the interviews and “entrance exams”, thereby joining the ranks of Toptal’s international network of software engineers. Almost immediately, Toptal put me to work within a big team of core client developers, which included several engineers from Toptal. Working for that client validated everything Alejandro had told me. 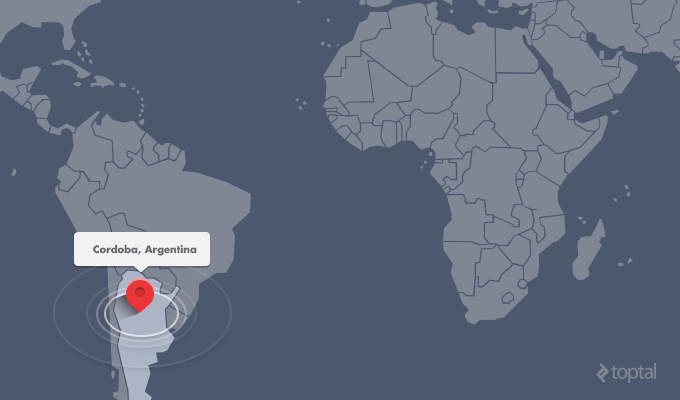 I quickly came to recognize Toptal as a powerful elite network of strong technical talent, not only here in Córdoba, but also in Brazil, Ukraine, Croatia, Mexico… really all over the world. Working on that initial project gave me the opportunity I’d been looking for to begin networking with other solid developers here in Córdoba. I’d gotten to know a few of them, but everyone was working on their own projects with their own technologies. There was no formal mechanism for us to network. No email group. No group chat. No bulletin board. Nothing. I discussed this with Martin Chikilian (“Chiki”), a colleague who had largely been responsible for initiating the Toptal network in Córdoba. Chiki was immediately on board with the idea and starting putting things into action. When you work with the best, it doesn’t take long for good ideas to turn into reality. Before I knew it, we were all chatting on Skype and organizing an asado! One morning shortly thereafter, I began receiving connection requests on Skype. Chiki had pulled together about 20 premier developers here in Córdoba. Before I knew it, we were all chatting on Skype and organizing an asado to meet one another. 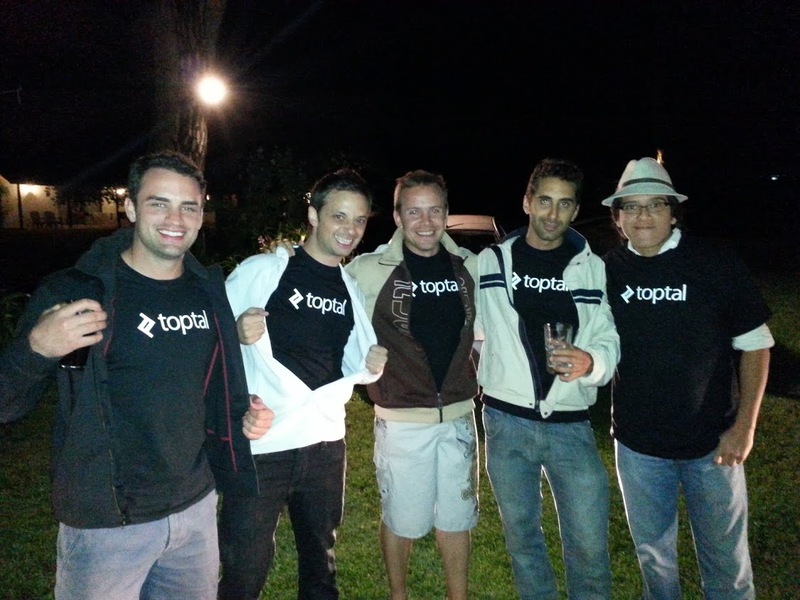 And Chiki had even arranged for one of Toptal’s co-founders, Breanden Beneschott, to join us. I almost couldn’t believe how quickly and easily it was all coming together. Everyone was really pumped about the idea. You could just feel the excitement. It was a hot night in Córdoba and the drinks and food made it even hotter. After all the initial social exchanges, and a lot of laughs, it didn’t take long for us to start talking technical. Languages, frameworks, libraries, tools, you name it. Everyone really knew their stuff and, even more importantly, everyone really wanted to learn from one another. It was amazing to me how precisely that first meeting (and all our meetings since!) aligned with my prior vision for what this network could and should look like. It really was amazing to see it come together so smoothly and with such enthusiasm. After all the initial social exchanges, and a lot of laughs, it didn’t take long for us to start talking technical. And no, not everything we discussed was technical. We also talked about travel, including a number of humorous “war stories” about things that we had run into in different cultures and countries. But the thing I will most remember about that night was all the personal stories. We really created a strong bond with one another, both personally and technically. Yes, that first networking meeting was a raving success. Having Breanden there was highly beneficial as well, as it gave all of us that much more of a sense of “belonging” in the Toptal network. And even better was when Breanden invited us all to the place he was staying in Malagueño. Some of us travelled there just to work for a few hours and, of course… to have another asado. Others actually stayed and worked there for as long as a couple of days and even had some time to play polo. It was a blast. As rewarding as it was to spend time networking within our newly-found core nucleus of technical talent, we soon began to brainstorm about ways to expand our activities to include a wider audience in and around Córdoba. And then we got the idea. We could host a high caliber technical conference right here in Córdoba! As daunting as it was, we were all energized by the challenge. We soon began to brainstorm about ways to expand our activities to include a wider audience in and around Córdoba. What technology should we focus on? How should we publicize it? How soon could we make it happen? How long should it be and what should be on the agenda? Who should speak? As we began putting the conference plan into action, we wanted to give ourselves enough time to properly coordinate the event, but wanted it to be soon enough that we’d need to get working on it right away. It was late December, so we decided to aim for mid-late February. We also thought it would be a good idea to have it on a Saturday to make it as easy as possible for people to attend. So we ended picking February 22nd as the date. One important decision we made early on, which I firmly believe contributed to the success of the event, was to avoid being overly grandiose in our plans. Rather than a multi-day, or even full day, conference, we decided to simply start out with a conference spanning a single afternoon and evening. Location. We needed to find a facility in which to host the event that would provide the requisite quality and amenities, while staying within budget. Speakers. Selecting the topics was fairly easy, but getting speakers who we considered sufficiently qualified (in addition to being available and willing) was more of a challenge. For the location, we ended up selecting the meeting center at the Howard Johnson Hotel & Suites in Córdoba. A nice side benefit of this location was the cafeteria with bakery that was available on the premises. All-in-all, we were very pleased with the way the facility worked out for the event. Especially given how rapidly we ended up pulling things together, we were particularly pleased that we managed to get everything done without exceeding our initial budget. We found a number of effective ways to help contain costs, such as advertising the event through the CordobaJS mailing list and our own personal networking (although for the next event, we may consider additional advertising to help expand our network). The participants had widely disparate backgrounds and levels of expertise, but all shared a common genuine interest in leading edge web development. The enthusiasm shown by the Cordoba software engineering community has prompted us to start planning new events with different venues as well. Not only talks, but also hackathons, meetups with practical exercises, and so on. Looking back, it’s hard to believe how much momentum our local Córdoba software developer network has achieved in such a short time. This bodes well for its continued success and we’re all very much enjoying the ride. If you’re interested in more information about our local technical network here in Córdoba, feel free to shoot me an email at [email protected] If you’re in or near Córdoba, we’d love to hear from you and have you as part of our network. Great Article Ramiro! I've only had excellent experiences with this amazing group of people. And not only in Argentina, but everywhere in the world. I'll be there in the next asado! Thanks Ale !!! We really look forward to see you again in Cordoba. How come to not mention the "Blackberry" singularity event ?